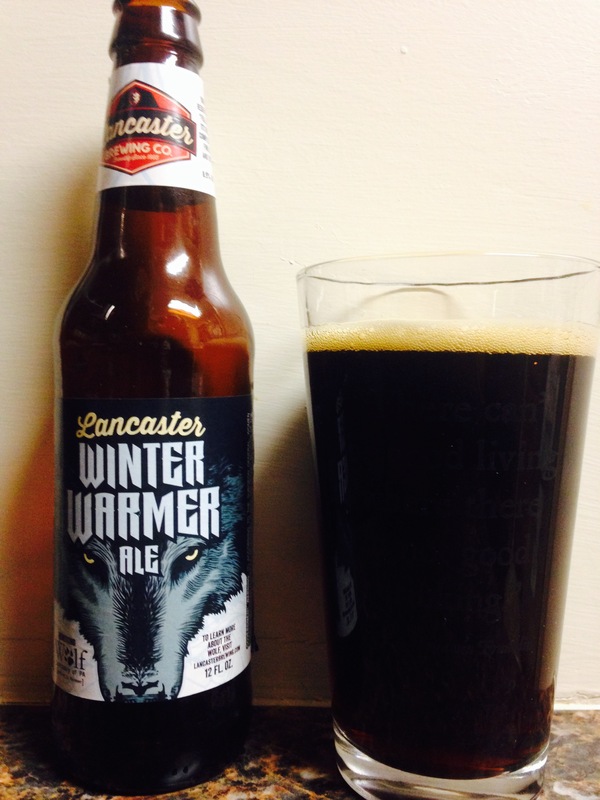 Lancaster brewing company from Lancaster, PA gives us “Winter Warmer Ale” it is a dark colored, heavy, bitter winter beer. It has a 8.9% alc content which is the high point of this beer. It’s a solid beer, very drinkable, 3 stars. This is the second year I have had this beer and it has definitely grown in me. It’s still very dark but it goes down smooth with a full flavor. 3.5 stars, get some!